Sister Planet is Kimika Ying’s latest installation at the LEA, and given I enjoy science-fiction and have a bit of an interest in space exploration and astronomy, it’s one that should be right up my street. It takes as its theme what is often referred to as Earth’s “sister planet”, Venus (so-called because it has a similar size, gravity, and bulk composition to that of Earth). But what is presented here is not the Venus known to science today, but rather the Venus science-fiction once presented to us, even as late as the 1940s: a warm, wet planet with verdant rainforests existing under its heavy clouds. Here, then, is a world from an alternative universe, where human beings have started to explore, establishing a small base on the edge of a verdant rainforest surrounded by hills and strange rocky outcrops, and above which the odd volcano or two pokes its snout. The forest itself is both strangely terrestrial in nature, and also very alien, while the base camp mixes parts of old rockets with pot-bellied units sitting on spindly legs. Above the trees and beneath the clouds, strange green creatures fly, often chasing large seed pods which periodically drift up into the sky. The creatures have no wings as such, but propel themselves by a sudden spinning motion, which also gives them their name; while under the canopy of trees, other strange flora and fauna reside. Of course, we now know that all the early hopes of Venus really being a sister planet to Earth have been well and truly dashed; the planet is in fact one of the most inhospitable places in the solar system; yet the old science-fiction stories might, under other circumstances have been right. The orbit of Venus sits just beyond the inner edge of what is called the “circumstellar habitable zone”, or “Goldilocks zone”, the region around a star within which planetary-mass objects with sufficient atmospheric pressure can support liquid water at their surfaces, and thus possibly offer conditions suitable for the advent of life. As such, an exploration of what / if with regards to Venus perhaps isn’t in appropriate. Sadly, however, I’m not sure that this installation succeeds in doing that; while the blog that accompanies the installation makes for good reading, chart as it does both the development of the idea and Kimika’s leap into mesh content creation, I’m not sure it achieves anything else. Certainly, as one who very much enjoyed at appreciated Kimika’s Oceania Planetary Park, which formed a part of the fifth round of LEA AIR grants, I came away from Sister Planet somewhat disappointed. Includes significant improvements to inventory folder and item fetches, which can markedly decrease the time taken for inventory to load. All other SL viewer remain as per my Current Viewer Releases page. There have been mixed reports of mesh loading issues, which may or may be linked to some long-standing issues with mesh attachments. During the Server Beta meeting on Thursday, October 30th, the issues of mesh items which should be cached by the viewer being slow to load, don’t show up at all or show up with a low LOD, requiring a relog. Interestingly, the meshes can appear correctly when using one account, but not with another, either though both accounts are drawing from the same viewer cache. There’s a weird mesh loading issue (not new) that’s “fixed” by deleting a certain per account file. I don’t even know why it should even work but it does. Sometimes a certain mesh gets stuck and will not render for a certain account. Relog doesn’t fix it & neither does a cache clear. You have to delete texture_list_last.xml in the per account settings files. There have been a couple of reports of texture loading issues which are still under investigation. In the first, there have been some reports that textures are getting stuck when “half loaded”, so that they remain blurred or may fail to render. It’s not clear how widespread this issue is, or whether it might be related to BUG-6382, although this is also unclear. In the second, one content creator has reported customers are suddenly having issues with a HUD-based system for changing the colour of their shoes. When used, the textures rez very slowly, or the shoes get stuck as grey for up to 5 minutes at a time, or get stuck at a 1st level load until the wearer teleports or relogs. This is apparently a completely new behaviour with the shoes in question, and it appears to be exacerbated when using the HTTP viewer. The latest AMD Catalyst™ 14.9.2 Beta drivers will not render rigged mesh unless hardware skinning is disabled. The current workaround is to either disable hardware skinning (which is not ideal when it comes to rendering mesh in general, and ALM features like materials will not render) or to remain on / roll-back to the 14.9.1 beta drivers if the problem is encountered. See BUG-7653. As was mentioned in the Server Beta UG meeting, this could be particularly confusing to new users running AMD GPUs and who are using the Lab’s default mesh avatars. A further JIRA has been filed in respect of e-mail communications with in-world objects hanging for no readily apparent reason (see: BUG-7554). similar issues have been reported in the past (although this one has a publicly viewable report), and Caleb Linden is currently poking at things. 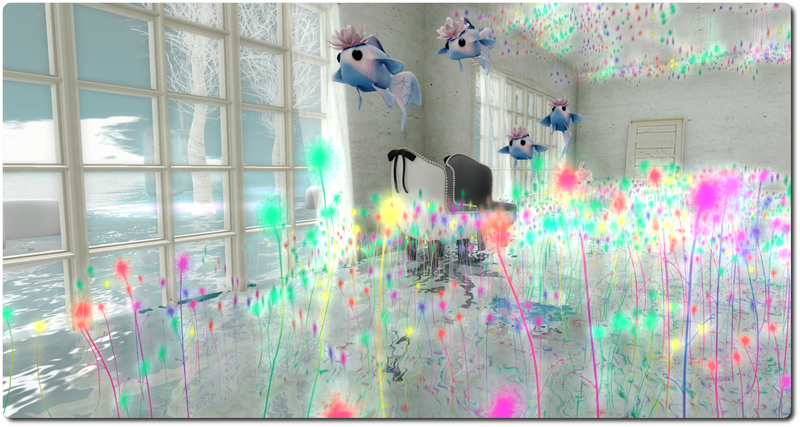 In March through April 2014, Cica Ghost has a charming installation on the region of Caramel. Called Little Village, it was a marvellous collection of whimsical little houses with wobbly chimneys, huddled together in groups or standing alone, some on level ground, others precariously straddling little hills, and about which I blogged at the time it was open. 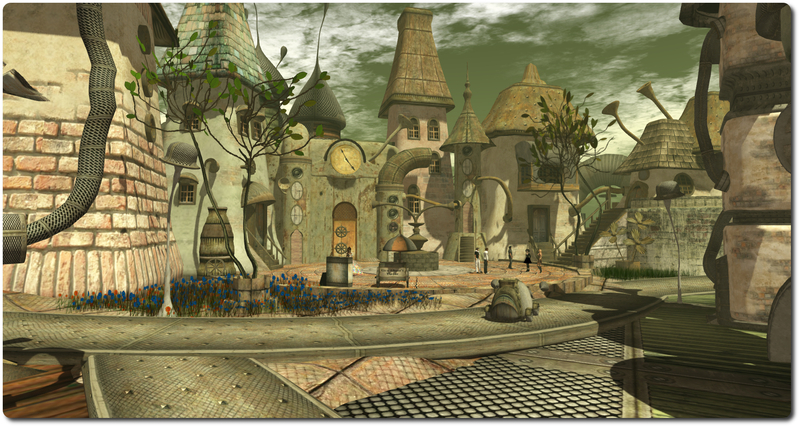 Little Village may have gone from the virtual world at large, but on Thursday, October 30th, Cica opened Little Town, which might be regarded as Little Village all grown-up. And it is another absolute delight of the quirky and the fun. The buildings here are “life-sized” (in avatar terms) when compared to Little Village, but they all display the same higgledy-piggledy charm. Most are gathered around a town square atop a large flat hill in the centre of the region, although several are scattered more widely afield. Here you will find tall finger-like houses, their once-bright paint a little faded and warn, sharing space with other structures of unknown intent. Pipes and tubes and horns twist and run between buildings or point skywards while trees and bright patches of flowers add further colour to the scene, as bright balloons drift about the place. There’s even a building that looks peculiarly like a gigantic coffee pot, a pipe-like handle on one side, and the spout formed by a another pipe as it twists it way to connecting with conical neighbouring structure. While the inhabitants may be conspicuous by their absence, this is a town that is very much alive in its own way; there is motion everywhere as windmills turn in the breeze, cogs and wheels rotate, horns stretch and contract from rooftops, strange spherical objects push their way through pipes; even the odd rooftop rises and falls as if breathing slowly, all of it serving to add a depth and further charm to the whimsy on display. Getting around is easy: wide steel roads, heavy with rivets, offer various routes around the town and its outlying areas, while steps down from the hill provide access to those places off the main roads, and of course, visitors are free to wander where they like. For those not into walking, there are cars available from a rezzer near the cinema cafe, while a gift giver near the landing point will present you with Cica’s Flying Ventilator, if you fancy getting a bird’s-eye view of the town. And speaking of the cinema – do be aware that some of the buildings can be entered as well – there’s even a cage where you can do Airkix-style “skydiving / flying” :). Should all the exploring tire you out, Cica has provide a trio of floating beds in the south-west corner of the region, where the weary can rest a while. The field over which the beds floats is also home to Cica’s little flower shop, where you can purchase sets of the flowers which can be seen around the town and region, as can copies of the two mechanical birds sitting under a nearby parasol – proceeds from sales doubtless help towards keeping the sim open. Given Little Town involves so much motion, something no always captured in a simply snapshot, I’ll leave you with a video of the town in the hope it’ll encourage you to pay a visit and share in Cica’s whimsy! Lab asks: how is SL for you? 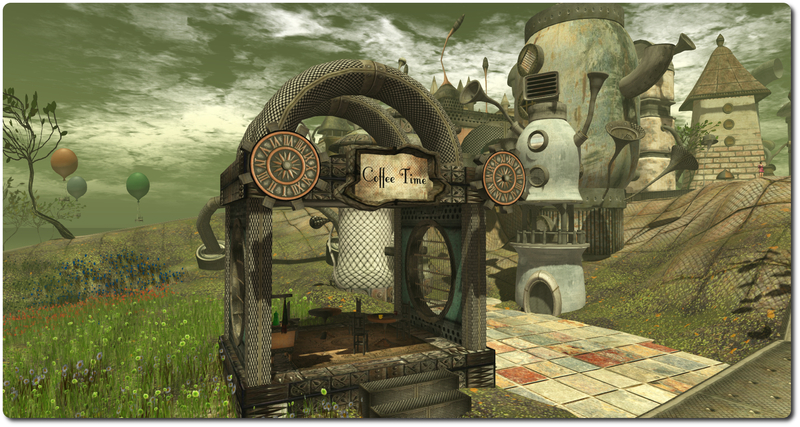 Has Second Life seemed a bit faster for you lately? 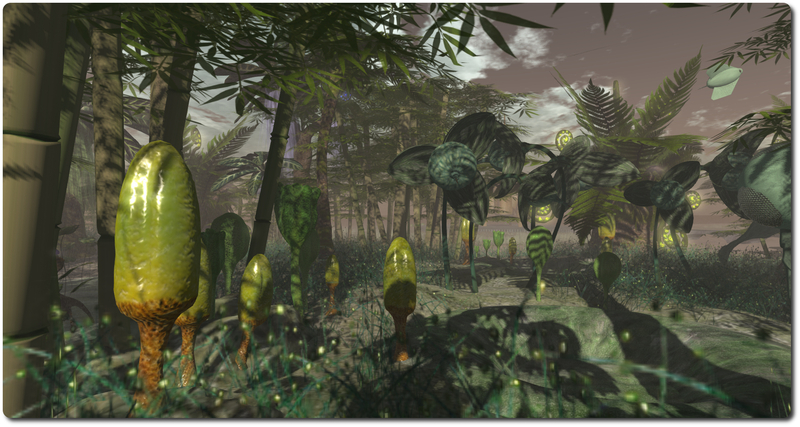 Improving performance for all Second Life users has been an important focus for us at Linden Lab, and we’ve recently seen some great results from several projects that should make your Second Life experiences faster, smoother, and more reliable. The entire grid is now using a CDN service for textures and meshes. 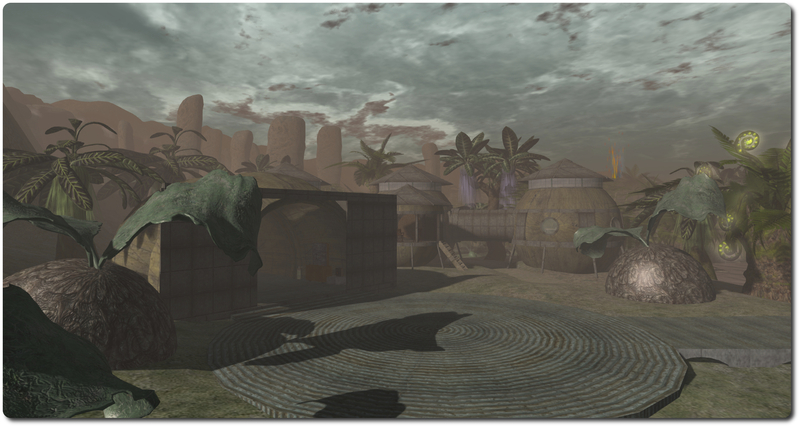 This change means that textures and meshes should load more quickly, particularly for those who login to Second Life from places that are far from our US data centers. 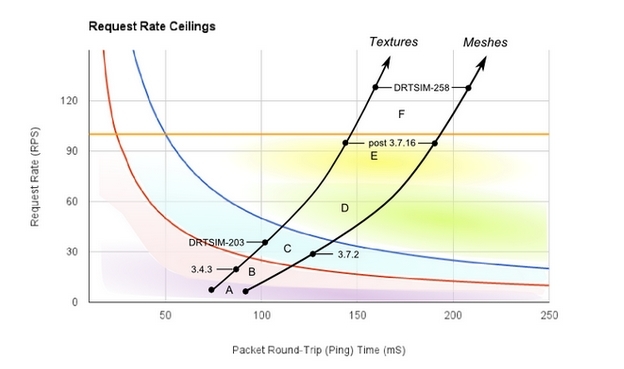 Our testing showed dramatic improvements: average download times for textures and meshes have been reduced by more than 50% on average, and the improvement is even more dramatic outside of North America. 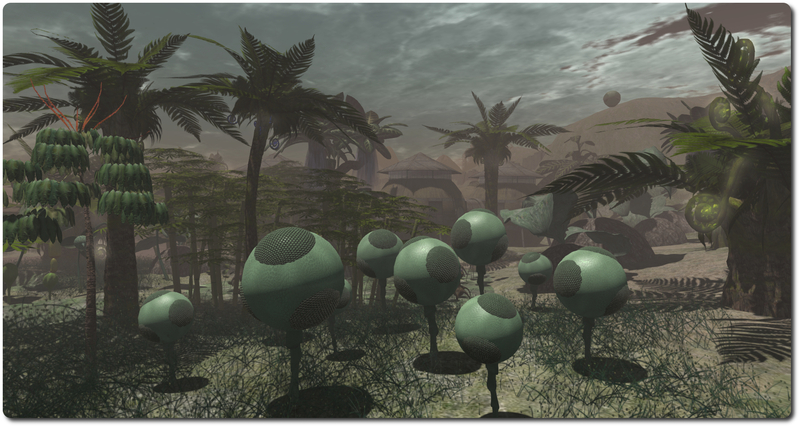 Another way we’re enhancing Second Life performance is through our HTTP project, which improves the way your Viewer communicates with grid services. With the HTTP Project Viewer out now, the faster content download times you’ll see thanks to the CDN change get even better – we’re talking 80% faster! For those who may have missed news on the HTTP pipelining viewer and the CDN support, you can catch-up with things via a couple of posts on this blog: SL project updates week 42/2: Monty’s HTTP update and the HTTP pipelining viewer, and HTTP pipelining viewer reaches release status as CDN support is grid-wide. Mention is also made of the recent Group Chat updates (work is still continuing on this, and you can get updates via the Group Chat tag in this blog). If you visit the Marketplace today, you should be seeing a much snappier experience than in the past. We recently deployed infrastructure upgrades for the Marketplace, and the site has since shown some of the best performance we’ve ever seen from it. Even during peak usage periods over the weekend, when in the past performance would degrade, we’re seeing response times that average 70% faster and page load times that are 30% faster than before the changes. I’ve not used the Marketplace of late – although I have been covering the upcoming Viewer-managed Marketplace (VMM) changes that will be occurring in 2015, and which the Lab is currently gearing-up for, along with merchants and TPVs. So, How’s Second Life Performing for You? Performance improvements are generally behind-the-scenes work, and we know it’s not always as exciting as rolling out a new feature, but these changes directly impact all our Second Life experiences and our daily lives in-world. We hope you’re starting to notice the effects of these improvements – if you are, please let us know in the Forums, on Twitter, or however you prefer. Note that is let the Lab know – not me (although general views are always welcome here, they might not be picked-up by the Lab)! Nigh on two years ago I blogged about Black Kite, the home of Black Cloud (Theblackcloud Oh), and a region open to visitors to enjoy. In the intervening time I’ve been back there on a number of occasions, drawn in part by the fact that it is a water-themed region. As regular reader know, I have something of a soft spot for such places. Truth be told, not a lot has changed with the region in that time – and that shouldn’t be taken as a critique in any way, because that’s certainly not how it is intended. That Black Kite continues in look and feel as the months go by, so does the feeling of comfort and familiarity one gains with each subsequent visit. When so much can be subject to chop and change within Second Life, it is sometimes nice to have anchor points which can be returned to and enjoyed without the uncertain surprise of change; hence another reason for my visits. For my part, I love how Black Kite mixes the natural and surreal, presenting an environment which is at once familiar and yet faintly alien. A place where wooden board walks and telegraph poles sit alongside the twisted, ball-topped forms of snake trees, and water droplets rise by the dozen from around armchairs sitting in the water while fish swim through the air indoors. In my original post about Black Kite, I commented that it is very a much a place where one can get away and simply *be”. It still is; here are places – such as the aforementioned chairs – where one can sit and / or share with a friend or two. Nor are you restricted to ground (or water!) level: ladders provide access to the rooftops of several of the wooden buildings scattered across the region, where additional chairs and benches might be found. One of the delights of the region is that almost everything is carefully spaced across the region that conversations and the scenery can be enjoyed without the feeling of being overheard or sitting within earshot / view of someone else’s privacy. For those of a photographic bent, the default windlight presents Black Kite beautifully – but it is also a place where twiddling with settings can yield some quite unexpected and delightful results. A Flickr group is available for those you like to share their shots. Visitors are free to wander where they will when visiting Black Kite, but if you’ve never dropped-in before, do be aware that Black Cloud has her private house in the north-east corner of the region, so do please respect her privacy. I couldn’t resist a further attempt at doing a little video recording while visiting the region, so I’ll leave you with that – and a reminder of the Black Kite SLurl. On Wednesday, October 29th, the Lab promoted the HTTP pipelining viewer to the de facto release viewer, a move that came just after the grid-wide deployment of CDN support on Tuesday, October 28th. 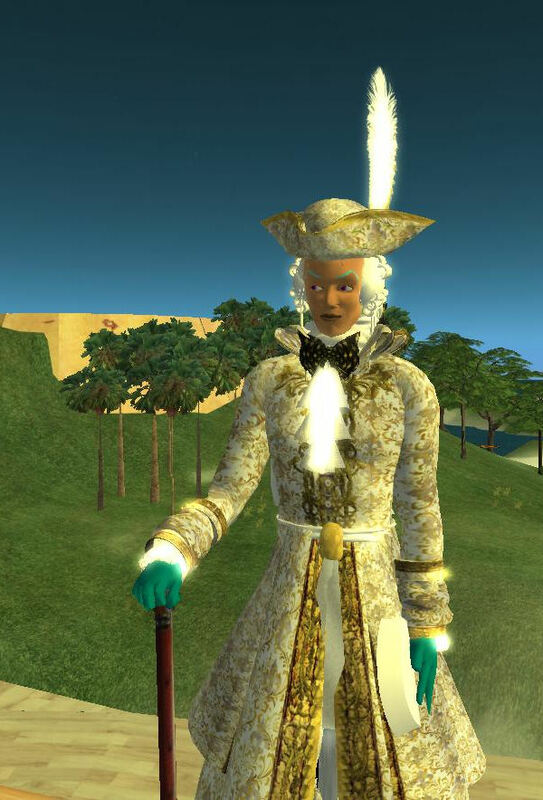 While the two are complementary rather than reliant upon one another, both should help improve the majority of users’ Second Life experience to some degree. 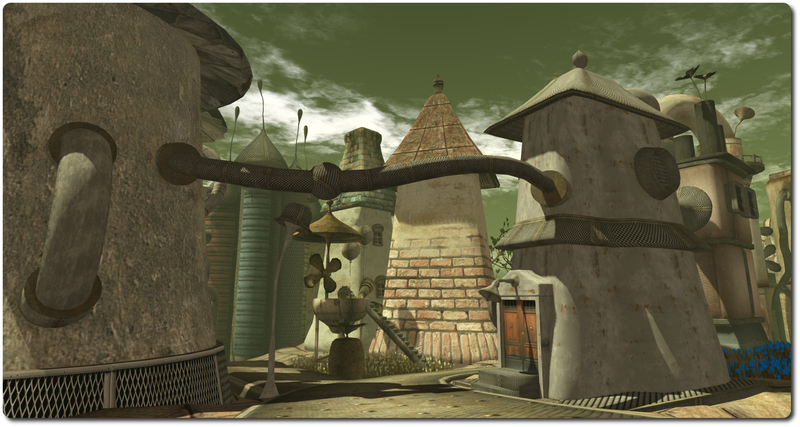 The HTTP pipelining viewer is the latest phase of over two years of work on Second Life by Monty Linden, and which has involved both the viewer and the servers and back-end services which support SL. 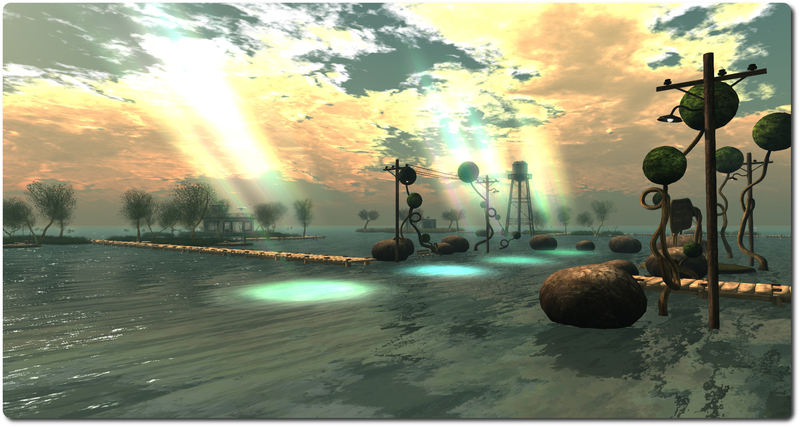 The work, originally a part of Project Shining, which was itself heralded as complete in June 2014, initially focused on texture handling between the servers and the viewer. 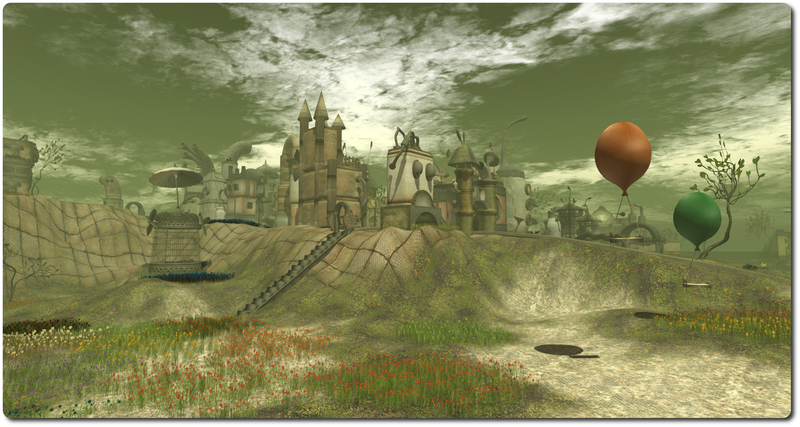 Since then, Monty has gone on to tackle a number aspects of improving the use of HTTP in Second Life, such as making connections more robust and reliable, improving throughout to the viewer via HTTP, and so on. The HTTP pipelining viewer, as the name suggests, leverages HTTP pipelining, a technique in which multiple HTTP requests are sent on a single TCP connection without waiting for the corresponding responses, which significantly improves the download of data (currently avatar baking information, texture data, and mesh data) to the viewer. The upshot of this is that the impact of a user’s physical location on scene loading is reduced, improving their overall experience. As well as this, the HTTP viewer includes significant improvements to inventory folder and item fetches, which can markedly decrease the time taken for inventory to load, particularly if a user’s local inventory files have been flushed as a part of a cache clearing (or similar) exercise. These inventory updates alone are liable to be appreciated by users as the viewer-side HTTP code gains wider adoption by TPVs. 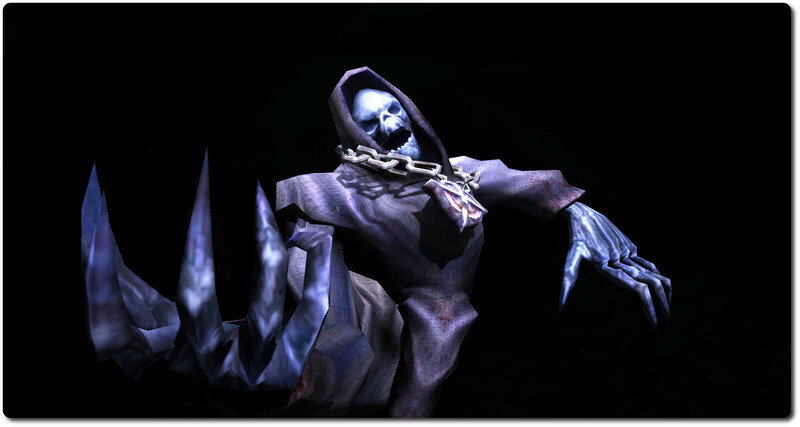 Tests have shown that a decently structured inventory (e.g. one that uses a folder hierarchy, rather than everything dumped into just a handful of top-level folders) of 100K can have a “clean” load time of 16-18 minutes reduced to around 3 minutes. 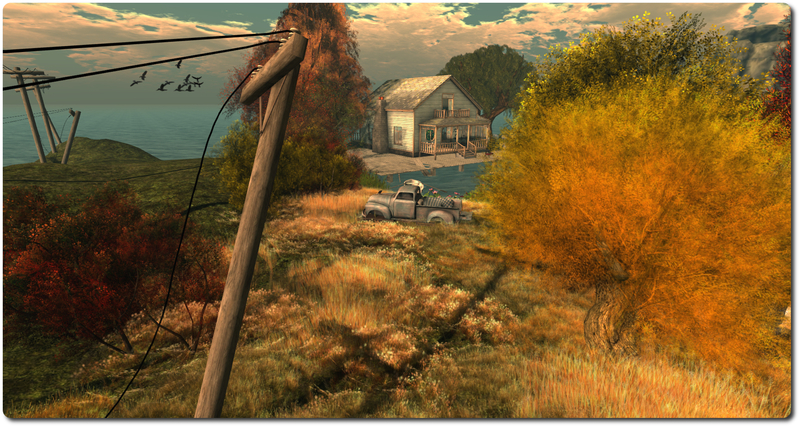 Earlier in October 2014, Monty blogged on his work, showing how both the CDN and the HTTP pipelining viewer, coupled with his earlier HTTP improvements have benefited texture and mesh fetching in SL. If you’ve not read that blog post, I recommend that you do. As well as working on HTTP, Monty has also been engaged on rebuilding and cleaning-up many of the third-party libraries used in the building of the viewer. This work should not only improve the viewer build process and such third-party libraries are consistently used in the build process, it may also help pave the way toward the Lab producing 64-bit versions of their viewer in the future.